Federation Park commemorates the centenary of the Federation of the Australian colonies in January 1901. 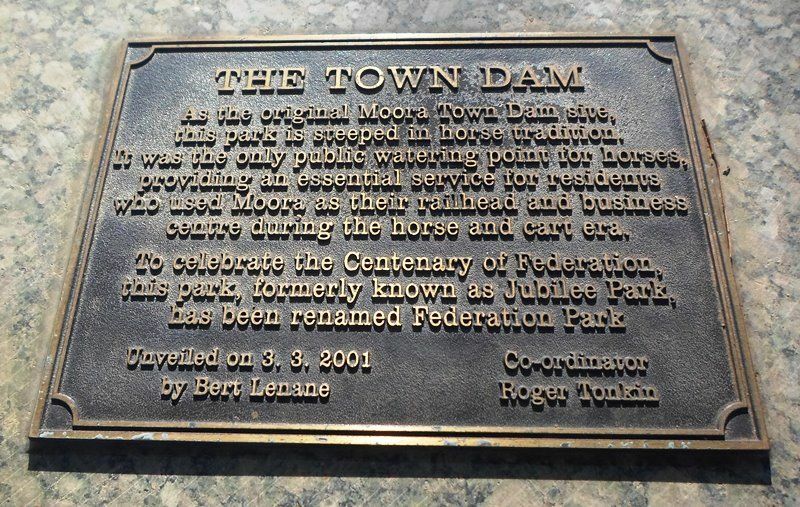 As the original Moora town dam site, this park is steeped in horse tradition. It was the only public watering point for horses, providing an essential service for residents who used Moora as their railhead and business centre during the horse and cart era.